Shimon is an internationally published and award-winning photographer (Photo France NRJ Award 2010, Photolife Emerging Pro Award 2009, CAPIC XPOSE Award 2010 and 2014, Applied Arts Photo Award 2014 and 2018) specializing in music, celebrity, beauty, advertising, and editorial photography. 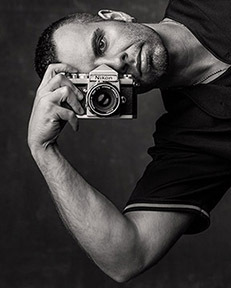 Originally trained as an actor and then as a professional cosmetologist, Shimon's diverse background in both the film and beauty industries have given him a unique perspective within his craft, an eye for cosmetic detail, and an acute understanding of being on both sides of the camera. He is based in Vancouver, Canada.